1. 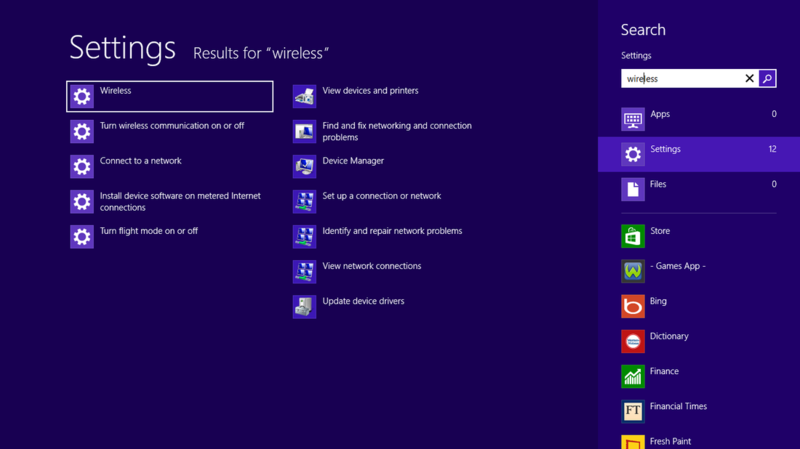 Press the Windows key to bring up the Modern UI (aka metro interface) and simply type “Wireless". From here click and open the Settings icon located on the right hand side of the screen. 2. 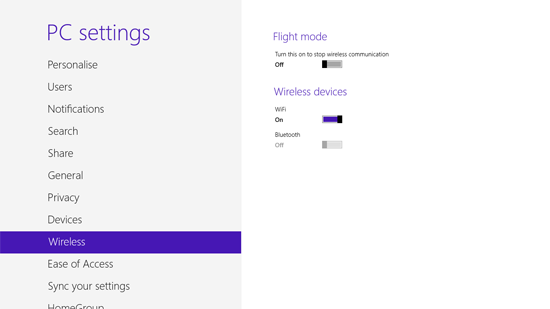 You will now see a list of wireless settings on the left hand side of the screen. 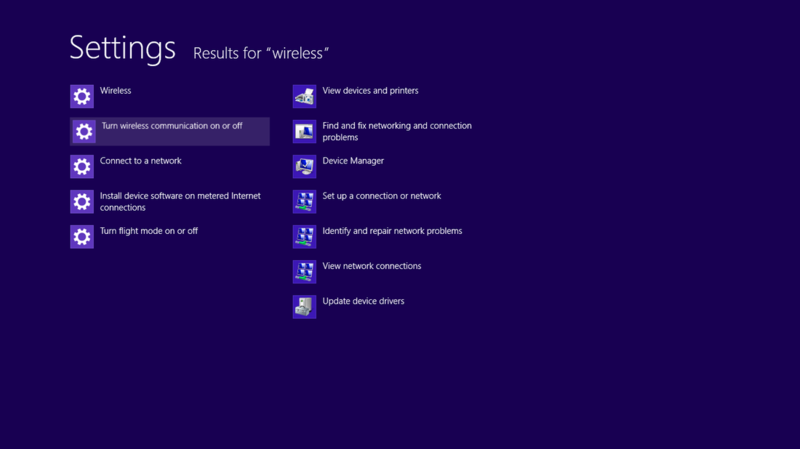 The second option down will be a cog icon titled “Turn wireless communication on or off" - click on this. 3. From here you will have three options and you can individually turn on/off the Wi-Fi and Bluetooth, or enable Flight mode, which will turn off all Wireless connectivity.